Tracking some recent Frankenstein activity on the net… Click away! August Ragone, author of Eiji Tsuburaya: Master of Monsters, runs a terrific blog called The Good, The Bad and Godzilla. It’s highly entertaining, with great info and fantastic pics. Here’s a post about War of the Gargantuas (1966), a film originally called “Frankenstein's Monsters: Sanda vs. Gaira” in Japan, illustrated with a wonderful candid shot of special effects genius Tsuburaya striding a miniature set with one of his Giant Furry Frankensteins. Ragone also posts a great gag shot (glimpsed here, visible in all its uncropped glory on August’s blog) of Tsuburaya and the caveman-like Frankenstein from Frankenstein Conquers the World (aka. Frankenstein vs Baragon) (1965). 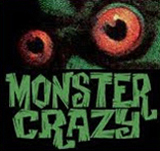 Music from the Monster Movies: 1950-69 is another blog recently celebrating the Japanese Frankenstein's conquering ways, complete with twanging guitar sound clips. Hosts Eegah! and Tabonga! also treat us to a short and punchy look at the Mexican-made Orlak, el infierno de Frankenstein (1960). The Vicar of VHS, holding forth on the splendid Mad Mad Mad Mad Movies is a funny and enthusiastic — nay, exuberant — reviewer. He is not above using CAPS, large type and even color accents to express surprise and sheer, uninhibited and contagious delight. Hang on to something and read his euphoric reviews of Frankenstein monster mashes like Frankenstein’s Bloody Terror, Assignment Terror and Lady Frankenstein (given a possibly record-breaking 6 thumbs up!). By the time you’re done, he’ll have you jumping up and down and flapping your arms along with him. The excellent Vault of Horror recently posted a scoop about an upcoming project of adapting Wake The Dead, the IDW comic book Frankenstein reboot, to the movies. B-Sol links to an informative interview with creator Steve Niles, of 30 Days of Night fame. Also worth noting: A very well done Vault of Horror Top 10 Horror Films List featuring the 1931 Frankenstein at #8, and 1935’s The Bride of Frankenstein at #2. 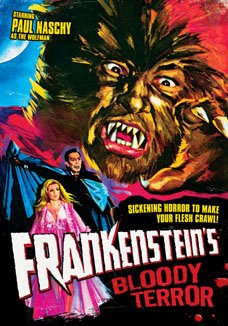 One Neat Thing a Day posted about songs with the word Frankenstein in their titles, complete with YouTube links, and over on the recently redesigned Movie Morlocks, Richard Harland Smith says what he REALLY thinks of the Charles Ogle Frankenstein Monster. On Yahoo Movies, a trailer for Death Race shows it’s a straight up muscle car action picture that has little if anything to do with the original cult classic Death Race 2000 of 1975. The Frankenstein in this version is… a Mustang. On Broadway, the much hyped Mel Brook’s Musical Young Frankenstein is getting a major face transplant. Sutton Foster and Andrea Martin, who took turns stopping the show as, respectively, Inga and Frau Blucher, are leaving the show. A mass exodus of talent might follow as the producers (no pun here) have called for a “non negotiable”, wholesale salary slash of 50% when player contracts are renewed this summer. The New York Post carries a terse article about it. 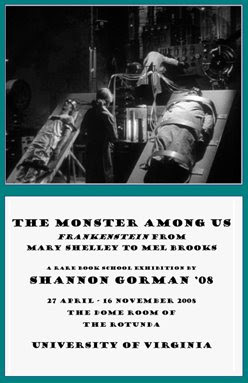 On the cultural front, a fascinating exhibition called The Monster Among Us: Frankenstein from Mary Shelley to Mel Brooks is running at the University of Virginia Rotunda Dome Room until November 2008. Curated by Shannon Gorman, it features materials from the collection of Susan Tyler Hitchcock, author of Frankenstein: A Cultural History. Here’s the Exhibition page, and here’s an article about it. Meanwhile, last May 17, visitors to the Museum of the History of Science in Oxford, England, were treated (and what a treat indeed!) to a one-day only display of an actual, handwritten manuscript page from Frankenstein, by Mary Shelley, on loan from the Bodleian Library. 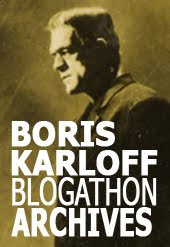 The event was accompanied by a showing of the 1931 movie with Boris Karloff. And, finally, here’s a tip of the Frankenstein flattop to Kitty LeClaw, horror movie coinnoiseuse and hostess of Killer Kittens From Beyond the Grave, for her kind words about this blog, posted under the cockle-warming title of I Left my Heart in Frankensteinia. Kitty recently “invoked” the beautiful Bride, Elsa Lanchester, in acrylic, and displays her paintings here. Kind sir, I am humbled. Truly, Frankensteinia is one of the most charming locales within the whole of La Belle Province. Pierre, that manuscript view is wonderful. The Morgan Library here in NYC holds Dicken's CHRISTMAS CAROL draft, and to look at one of these iconic works and truly absorb the fact that, "this thing didn't always exist - it is the product of real effort by a real person!" is fairly amazing. and good luck on your mission.